Zsolt Stefan (zsoltst) added a comment to T53324: Black render artifact with CPU+GPU rendering in viewport. I would like to confirm that this bug is still present in Blender. Just checked with the example file and the 2.80 build from today. Zsolt Stefan (zsoltst) created T61020: No MMB zoom/pan in half of shader editor. 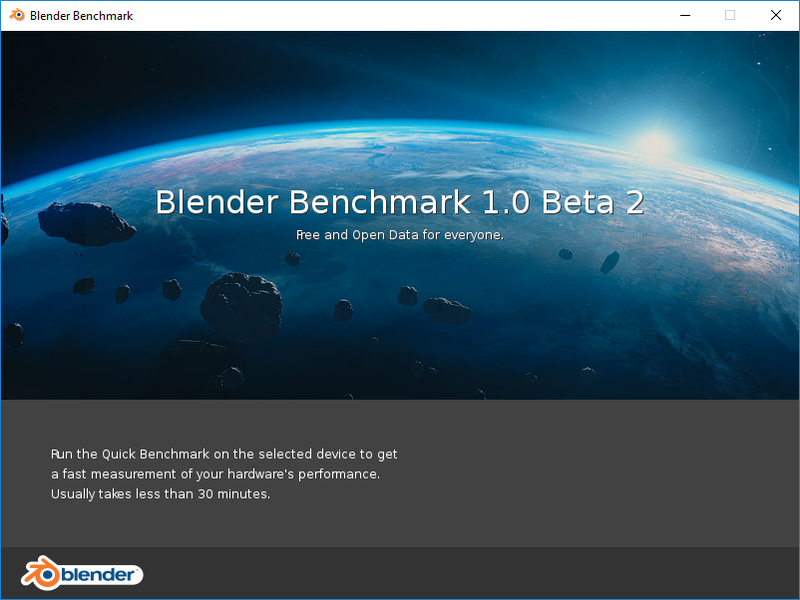 Zsolt Stefan (zsoltst) added a comment to T54943: Blender 2.8 Defaults. Zsolt Stefan (zsoltst) added a comment to T55162: Blender 2.8 Blender Keymap changes. The command "Center View to Mouse” is missing from the new keymap (used to be Alt-F). I also posted this in the blenderartists thread. The problem with this is, that this command can only be used as a hotkey. It has an immediate action, and it uses the exact location of the mouse cursor. It wouldn't work from a menu. Could you please add it back? The command is "view3d.view_center_pick". RobHue (RobHue) awarded T53763: Mirror modifier AND mirror operator destroys custom normals a Pterodactyl token. This was mainly a remark from a technical and CAD user who does have experience of drawing nuts and bolts inside city sized files :) The CAD apps simply do not allow scaling when changing units and do everything in real world size, adjusting viewport navigation and work context to current zoom. It is possible and now i realize, brilliant. But if you say that Blender is not capable of that, again, i will have to trust you. It would in any case, probably take a whole new code quest to venture into Blender's code and put all the system's unit - using parameters into feasible order. Zsolt Stefan (zsoltst) added a comment to T53762: Blender (newer 2.79 builds) quits when changing frames. Yes, you're right, this doesn't happen with the --factory-startup option. So it is probably an addon that doesn't work anymore with the newer builds. I will do some testing and try to narrow down which addon it could be. Zsolt Stefan (zsoltst) created T53763: Mirror modifier AND mirror operator destroys custom normals. Zsolt Stefan (zsoltst) created T53762: Blender (newer 2.79 builds) quits when changing frames. Zsolt Stefan (zsoltst) created T53324: Black render artifact with CPU+GPU rendering in viewport. Zsolt Stefan (zsoltst) updated the task description for T53290: Drop in rendering performance if result in image window set to stereo 3D. Zsolt Stefan (zsoltst) created T53290: Drop in rendering performance if result in image window set to stereo 3D. Zsolt Stefan (zsoltst) added a comment to T51663: DoF in viewport doesn't work, expanding blurred area when moving objects. here is the blend file. Depth of field is enabled in the N-panel. Zsolt Stefan (zsoltst) updated the task description for T51663: DoF in viewport doesn't work, expanding blurred area when moving objects. Zsolt Stefan (zsoltst) created T51663: DoF in viewport doesn't work, expanding blurred area when moving objects. Zsolt Stefan (zsoltst) updated the task description for T51500: Object disappears in wireframe view. Zsolt Stefan (zsoltst) created T51500: Object disappears in wireframe view. Zsolt Stefan (zsoltst) added a comment to T48511: Texture box mapping in viewport. @ Duarte Farrajota Ramos: do you have some information about the "fake box mapping preview" that you mentioned? Maybe a description or picture of the node setup? Thank you. Zsolt Stefan (zsoltst) created T48511: Texture box mapping in viewport. Zsolt Stefan (zsoltst) created T44693: Snap settings in 3Dview coupled with Node Editor. Zsolt Stefan (zsoltst) added a comment to T44536: STL normals import. Zsolt Stefan (zsoltst) created T44536: STL normals import. Zsolt Stefan (zsoltst) created T43897: Import normals (eg. STL) to correctly render triangulated surfaces. Zsolt Stefan (zsoltst) created T43719: STL Import Script Scale option is strongly limited. 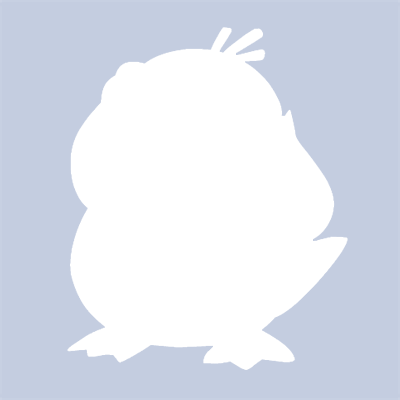 Zsolt Stefan (zsoltst) added a comment to T37417: Default Keymap: Revamp. The question is, how far is it not empty space? The grab widget is just one pixel wide, surely you do not always click exactly on this thin line, but somewhere close to it. If there is no feedback, you sometimes miss the widget. With this change you would then deselect all, which would be pretty frustrating. Zsolt Stefan (zsoltst) created T41800: Freestyle + Cycles panoramic camera not compatible, renders are incorrect. Zsolt Stefan (zsoltst) created T41797: Dupliverts eats performance. Zsolt Stefan (zsoltst) added a comment to T34400: [Cycles] Settings to restrict polar range for equirectangular panoramas. @Andreas Stöckel (aurelian15) : Hi, do you plan to finish this feature with the two things @Brecht Van Lommel (brecht) mentioned? Would be great to have the feature in trunk, this is the only camera type with no field-of-view settings. Thanks! Zsolt Stefan (zsoltst) raised the priority of T39165: Cycles equirectangular panoramic camera missing Field-of-view settings from to Needs Triage by Developer. Zsolt Stefan (zsoltst) added a comment to T38819: Mark/Clear seam misbehaves when executed from spacebar search menu in 3D view. "...operators are not designed primarily to be accessed from the search popup." Zsolt Stefan (zsoltst) raised the priority of T38886: Packed textures not loaded (pink render) when OSL enabled from to Needs Triage by Developer. Zsolt Stefan (zsoltst) added a comment to T38089: Custom OpenGL Render Icons. My two cents: not to critique your work, 16*16 seems awfully small to convey complex meanings, but these icons don't seem to convey the meaning of rendering, if you don't say it's an iris/shutter I'm not sure most people would recognise it as such. Seems more like an animated loading icon, or a rotating wheel, especially with the one in motion, there it really seems to roll forward, I'd think here more of rigid body physics. Zsolt Stefan (zsoltst) added a comment to T37418: Reorganize 3D View Toolbar. @Jonathan Williamson (carter2422) - Seeing the newly created "History" panel (great idea btw! ), I would suggest putting the history list itself into this tab, without needing to click once more on "Undo history". There will probably be very few buttons here anyways, so there should be enough space. Zsolt Stefan (zsoltst) added a comment to T37961: Make Matcap work globally. Zsolt Stefan (zsoltst) added a comment to T37982: File Browser options minor UI improvements. I also think the ones with the oval are not recognisable as OpenGL, the text ones were clearer. Also, the one for still rendering is just a plus inside an oval, not recognisable as a camera flash since the camera is missing, it looks more like an "add new" button. I'd go with your first proposal with different colours, try making it less cluttered, maybe removing the 3D bevel effect from the GL letters. Zsolt Stefan (zsoltst) added a comment to T37801: x no longer prompts for confirmation. Zsolt Stefan (zsoltst) added a comment to T37518: Blender Default Settings: Preferences. @step-ani-motion (stepanimotion) Alt-F? Wow thanks for that, I had looked for something like that once or twice and then thought it's simply not implemented in Blender, and used the numpad DEL instead. @Paweł Łyczkowski (plyczkowski) I agree, map it rather to a modifier key + mouse click as default, and BAM! great new feature. Zsolt Stefan (zsoltst) added a comment to T37419: Update Default Theme Colors for 3D View and Wireframes. I see a much larger question here than the exact colours. Maybe it is a separate topic. The question is why do we use a negative representation (dark background with lighter objects/contours) and not a positive representation (light background with darker objects)? Blender switched from positive to negative from 2.49 to 2.50. I personally cannot work with these very dark themes during the day or in any well-lit environment. Reducing eyestrain requires a switch to the 2.49 theme, which seems to be the only light theme pre-packaged in Blender. @Andrew Price (andrewprice): I agree, addons do not really belong in the toolbar. A toolbar contains tools (operators), but shouldn't contain the settings, sliders, input fields, etc. for these tools. (ie. the way most addons work, adding their settings into the toolbar) They belong either in a separate panel, a popup, or somewhere else. For tools with settings that cannot be changed afterwards (eg. rings of a UV sphere), a popup might be the better solution. Zsolt Stefan (zsoltst) added a comment to T37478: Improve Tooltips to provide more information. Yes it is of consequence whether it is online. It is very annoying how some software open up documentation, sometimes in an in-program window, just to load a "page not found message" when I am not connected to the internet, without any sign beforehand that it is only available online. The relative unavailability of offline Blender documentation is bad enough, let us not reduce the info available inside the program even more. There are many use cases with no internet connection, whether on the go with a laptop, or at work with internet limitations, or in less connected parts of the world. Zsolt Stefan (zsoltst) added a comment to T37475: Blender Default Settings: Rendering. you want to set your final resolution exactly. Preview resolution is less important, the slider can take care of that, without having to "destroy" your pre-set final resolution.